You are here: Home / Contract Review / Do You Really Understand Your Contract? ​Employment contracts are definitely a big and complicated topic, and for that reason many residents or physicians with new contracts choose to work with attorneys that specialize in physician contract review. Employment contracts are usually written in legal language that few speak, and are designed to protect the employer (sometimes at the expense of the physician). This post will give you a primer about physician employment contracts, but don’t hesitate to contact a professional if you have any doubts regarding your contract! Contracts are agreements between two parties to fulfill duties and convey value to the other party in return. Physician employment agreements can be especially complex. They are legal documents that set the stage for your financial future. The institution that drafts the contract inherently creates it with its own interests in a primary position. As this is the inherent nature of contracts, you should analyze your contract critically to avoid unwanted restrictions or lack of desired incentives. Understanding the fundamental nature of contracts is important as you go on to evaluate, review, and negotiate your offer. While many physicians will focus mostly on the offered income, it is not the only important aspect in the contract! Focusing on income alone, while understandable, can lead to a less comprehensive view of the offer. While you’re sure to take into account the financial components like compensation and benefits, don’t forget about the intangible factors like location, reputation, partnership opportunities, and favorable call and other duties. Considering the entire contract holistically will help you in your negotiations and your decision to accept. As you go through the offer, make sure you do so with a magnifying glass in order to ensure that you truly understand all of the fine print. The devil is in the details, and the risks are high if you don’t understand what you’re signing! There may be language about things that you might not think about or pick up on, related both to financial details and job requirements. And make sure to review business issues as well, like practice buy-in, profit-sharing, and non-compete clauses. Don’t hesitate to ask questions of an attorney if you have any, since much of the contract will be difficult to understand unless you have tons of business experience or coursework in contract law. A physician contract review attorney will also be able to let you know how your contract compares with others that they have seen, which will give you a leg-up in negotiations. If there is less room for negotiation in your contract, it is still worthwhile to have your contract laid out so that you have no surprises later. Don’t hesitate to ask for more time to review! 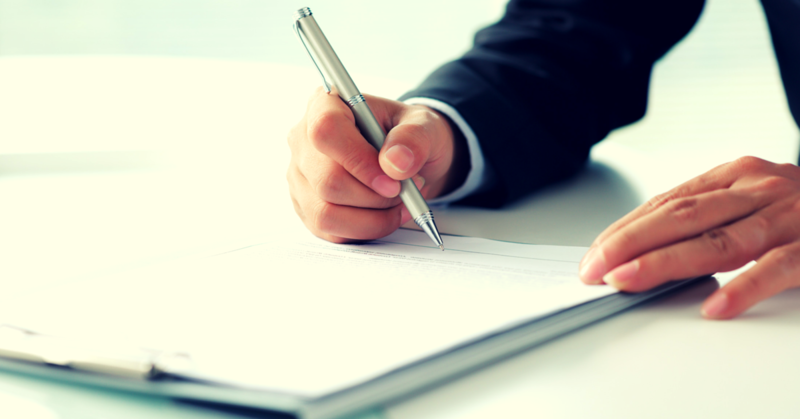 Don’t give in to the urge to sign your contract right away in order to appear agreeable. The consequences of not carefully reviewing and negotiating your contract may change the course of your entire career. As you decide what points to negotiate, make sure to carefully consider what you are and are not willing to compromise on. If you are working with a physician contract attorney, they can help you decide which elements may be worth attempting to negotiate and what precise offers or counteroffers to make. An experienced attorney can help soften or remove language about things like non-compete, time-to-partnership, and buy-in costs. If you would like to download our Physician’s Guide to Employment contracts, click the button below!